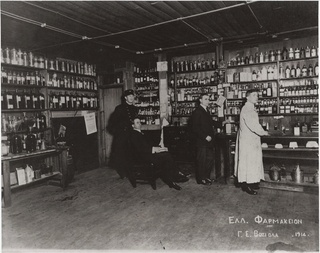 Galen Botanicals began as an Old-World Apothecary, "Galen Pharmacy". Pharmacist George Vozeolas becomes the first Greek immigrant to open a pharmacy in Lowell, naming it Galen Pharmacy. His herbal remedies, salves and tinctures became renowned for their effectiveness. Pharmacist George Vozeolas' granddaughter, Dr. Elaine Gavalas, founded Galen Botanicals to develop 21st century natural remedies. Protects, softens and revitalizes dry, rough skin. Restores healthy suppleness and flexibility to the skin. Improves skin integrity with a lasting moisturizing effect. Ingredients: Organic Extra Virgin Olive Oil Rose Quartz Infusion, Lanolin, Lavender Essential Oil. This precious aromatherapy blend promotes stress relief, healing and purification of mind-body-soul. 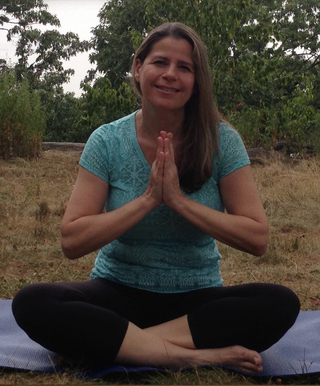 Anoint chakras and pulse points and set intentions before and after meditation and yoga. 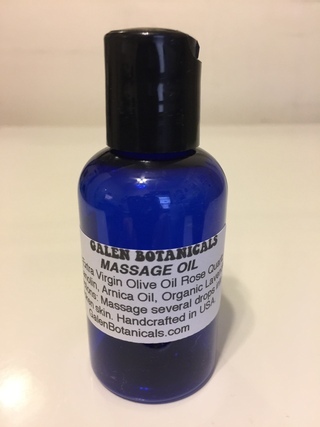 Ingredients: Organic Extra Virgin Olive Oil Rose Quartz Infusion, Rosa Damascena Essential Oil, Sandalwood Essential Oil, Patchouli Essential Oil, Jojoba Oil. Reduces and prevents swelling, and improves skin integrity. Ingredients: Organic Extra Virgin Olive Oil Rose Quartz Infusion, Lanolin, Hyaluronic Acid, Hydrolyzed Collagen, Organic Horse Chestnut Extract, Organic Lavender Essential Oil, Grapefruit Essential Oil. Ingredients: Organic Extra Virgin Olive Oil Rose Quartz Infusion, Organic Jojoba Oil, Organic Rose Oil, Hyaluronic Acid. Galen Botanicals elixirs are created with precious plant essences, beneficial crystals, and pyramid therapy. The synergistic blend of these high-vibrational substances regenerates and revitalizes the skin and body-mind-spirit. 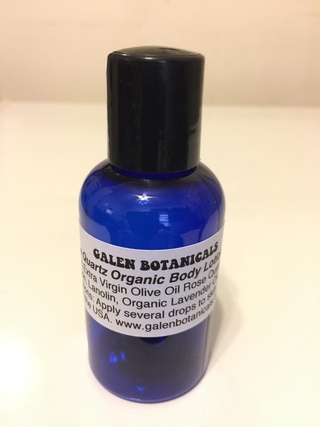 Galen Botanicals natural remedies are made with Mother Earth's most precious plant oils, essential oils and botanical extracts. These powerful substances are scientifically found to lock in moisture, combat free radical damage, and protect against infectious invaders. Organic extra virgin olive oil is infused with beneficial crystals to create high vibrational elixirs. This infusion transfers the crystal's therapeutic properties into pure olive oil for maximum benefit. 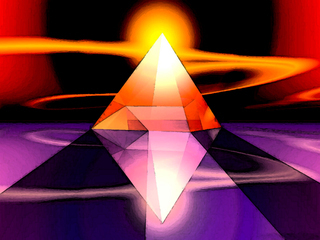 Galen Botanicals uses pyramid shaped crystals to incorporate potent pyramid therapy. 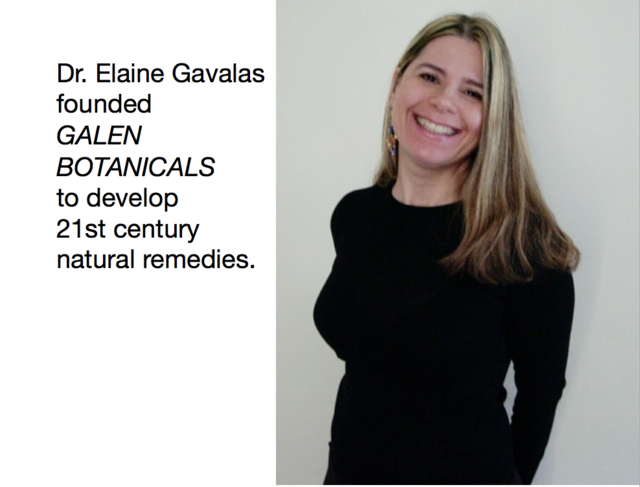 WHY CHOOSE GALEN BOTANICALS NATURAL REMEDIES? 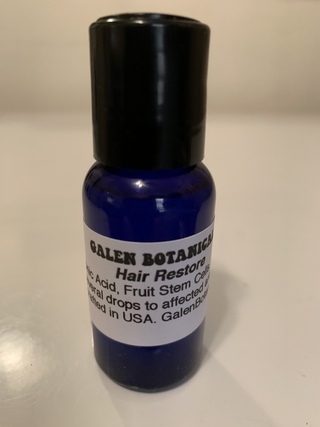 GALEN BOTANICALS chemical-free, natural products contain protective essential oils, plant oils, and botanical extracts that regenerate and revitalize the skin. These precious substances are scientifically found to lock in moisture, combat free radical-induced damage, and protect against infectious invaders. 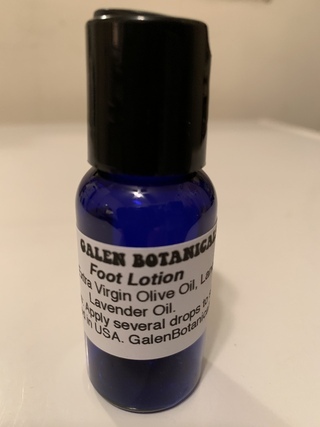 Galen Botanicals products contain organic extra virgin olive oil, an ideal emollient base ingredient. This silky smooth and deeply moisturizing oil is rich in vitamins A and E, monounsaturated fatty acids and polyphenol antioxidants. Olive oil's potent compounds such as oleocanthol, oleuropein, oleic acid, hydroxytyrosol, tyrosol and squalene can protect against skin aging, promote skin regeneration and prevent skin infections (11-16). Olive oil antioxidants protect skin from free radical damage that results from pollution, oxygen, and sunlight. Since squalene is one of the principal hydrocarbons contained in the skin, olive oil is absorbed quickly and efficiently deep into the skin, replenishing the skin's natural moisture barrier. Olive oil restores healthy suppleness and flexibility to the skin without leaving an oily residue (13-17). Produced from the seeds of the jojoba plant, jojoba oil's unique chemical composition is similar to human sebum - a waxy substance secreted by the skin's sebaceous glands. Jojoba oil protects, softens and restores skin to its natural pH balance. (17). Derived from sheep's wool, lanolin oil is nearly identical to our skin's naturally occuring oils. It is composed of non-ionic, hydrophilic fatty acids that pass freely and easily to the deepest layers of the skin's epidermis. Lanolin protects the cells that act as the epidermis barrier, which prevents moisture depletion, yet also allows breathing for an unrivaled and lasting moisturizing effect (18). One of nature's most powerful substances for soothing, moisturizing and detoxifying is lavender oil. The benefits of using lavender oil on the skin include healing wounds (cuts, sores, abrasions, ulcers), preventing bacterial colonization, treating fungal infections, combating acne, eczema and psoriasis, preventing skin cancer, and countering the damaging effects of UV radiation (photo-aging) (17-26). Rose oil is well-known for its moisturizing and antimicrobial benefits and beautiful aroma. Rose oil provides antioxidant protection for optimal skin care by counteracting the effects of aging and keeping skin soft and supple. It can penetrate the skin and improve the skin's moisture barrier. Rose oil scent has been shown to have antidepressive, anti-stress and anti-anxiety properties (26-31). WHY AVOID PETROLEUM-BASED AND MINERAL OIL SKINCARE PRODUCTS? Commercial skincare creams and lotions such as Eucerin (1), Vaseline (2) and Lubriderm (3) contain petroleum and mineral oils derived from crude oil. Companies like Olay (4) and Neutrogena (5) skincare products contain parabens, chemicals with estrogen-like properties. Although considered toxic contaminants, they are ubiquitous in skincare products because petroleum and mineral oils are inexpensive fillers materials and parabens are used as preservatives. Studies show petroleum and mineral oils are considered toxic contaminants (6,10). When petroleum and mineral oil toxic contaminants are absorbed into the system they do not metabolize and accumulate in human fat (6,10). Petroleum and mineral oils are classified as xenoestrogens, substances that produce harmful hormonal effects. Studies show long-term exposure to petroleum derived skincare products is linked to estrogen dominance and increases hormonal imbalances (2). Estrogen dominance is a common condition in which individuals have a high ratio of estrogen hormone with little or no progesterone hormone to balance its effects. Petroleum and mineral oil are "occlusive" agents—meaning they seal off the skin from air, water or anything else getting in (or out). They form an invisible film on the surface that blocks the pores and the skin's natural respiration process. They don't allow moisture to be absorbed from the atmosphere or from other beneficial ingredients. Many commerical skincare products including Olay (4) and Neutrogena (5) contain toxic chemicals such as paraben, a hormone disruptor. Studies found paraben is present in breast cancer tissues (9,10). "Let thy food be thy medicine and thy medicine be thy food." - Hippocrates. 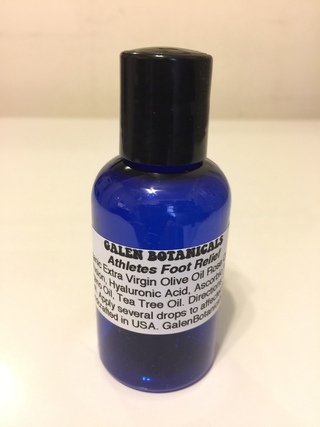 GALEN BOTANICALS remedies are deeply rooted in ancient Greek Traditional Medicine. One of the oldest systems of healing on the planet, Greek Traditional Medicine traces its roots back to Greek physician-philosopher Galen (161 AD), "father of medicine" Hippocrates (370 BC), and ancient Greek healing temples dedicated to the god of medicine Asclepius (5 BC). Many of Galen Botanicals remedies were derived from Greek Traditional Medicine. Galen Botanicals is proud to bring these timeless remedies to the 21st century. These statements have not been evaluated by the FDA. Galen Botanicals products are not intended to diagnose, treat, cure or prevent any disease. Not FDA Approved for Medical Treatment. Please consult a licensed health professional for advice and treatment. 7. Lu Yao-Ping, et al. Tumorigenic Effect of Some Commonly Used Moisturizing Creams when Applied Topically to UVB-Pretreated High-Risk Mice. J Invest Dermatol. 2009 Feb; 129(2): 468–475. 8. Environmental Watch Group (EWG) Research Shows 22 Percent of all Cosmetics May Be Contaminated with Cancer-Causing Impurity. February 8, 2007. 9. Concin N, et al. Evidence for cosmetics as a source of mineral oil contamination in women. J Womens Health (Larchmt). 2011 Nov;20(11):1713-9. 10. Vrable CM, et al. Specific in vitro toxicity of crude and refined petroleum products: II. Estrogen (alpha and beta) and androgen receptor-mediated responses in yeast assays. Environ Toxicol Chem. 2010 Jul;29(7):1529-36. 11. D'Angelo S, et al. Hydroxytyrosol, a natural antioxidant from olive oil, prevents protein damage induced by long-wave ultraviolet radiation in melanoma cells. Free Radic Biol Med. 2005 Apr 1;38(7):908-19. 12. Budiyanto A, et al. Protective effect of topically applied olive oil against photocarcinogenesis following UVB exposure of mice. Carcinogenesis (2000) 21 (11): 2085-2090. 14. Brenes M, et al. Antimicrobial activity of olive oil. Anno 2007 Jul/Aug;18(4): 6-8. 15. Passi S, et al. Lipophilic antioxidants in human sebum and aging. Free Radic Res. 2002 Apr;36(4):471-7. 16. Kohno Y, et al. Kinetic study of quenching reaction of singlet oxygen and scavenging reaction of free radical by squalene in n-butanol. biochim Biophys Acta 1995 Apr 28;1256(1):52-6. 18. Kiechl-Kohlendorfer U, et al. The effect of daily treatment with an olive oil/lanolin emollient on skin integrity in infants: a randomized controlled trial. Pediatr Dermatol 2008 Mar-Apr;25(2):174-8. 19. 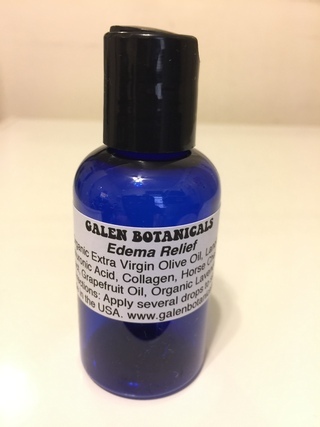 Guba R. Wound Healing: A pilot study using an essential oil-based cream to heal dermal wounds and ulcers. Intl J Aroma 1998-1999 9(2):67-74. 20. Chao S, et al. Inhibition of methicillin-resistant Staphylococcus aureus (MRSA) by essential oils.Flavour Fragr J 2008;23: 444-449. 22. D'Auria FD, Tecca M, Strippoli V et al 2005 Antifungal activity of Lavandula angustifolia essential oil against Candida albicans yeast and mycelial form. Medical Mycology 43:391-396.